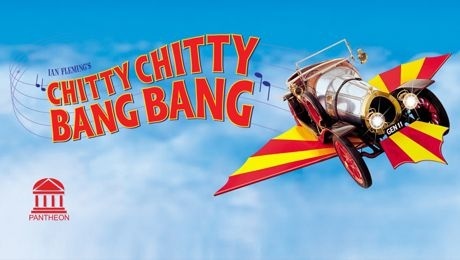 The fantasmagorical Chitty Chitty Bang Bang perfromed by the Pantheon will land in Glasgow’s King’s Theatre in October 2018! Watch out! The most fantasmagorical musical is celebrating 50 Years and Chitty Chitty Bang Bang, lands in Glasgow’s King’s Theatre from the 9th until the 13th of October 2018! From the team that brought you the record breaking Elf, Pantheon are back at the King’s Theatre, Glasgow, with the truly spectacular and endlessly entertaining Chitty Chitty Bang Bang! Can the loveable but whacky inventor, Potts, along with his two children and the gorgeous Truly Scrumptious outwit the bombastic Baron Bomburst who has decreed that all children be banished from his kingdom? What happens when the children are caught and imprisoned with other youngsters by the evil Childcatcher? Will it all end happily-ever-after? Well, of course it will! Eeryone’s favourite flying car comes to life, exactly 50 years after the hugely successful and beloved family film. Following huge successes with Elf, Grease, Legally Blonde, and Sister Act, Pantheon have received outstanding reviews for their productions of some of the world’s favourite musicals. Take a fantastic musical adventure with an out-of-this-world car that flies through the air. Based on the beloved 1968 film version of Ian Fleming’s children’s book, and featuring an unforgettable score by the Sherman Brothers (Mary Poppins), Chitty Chitty Bang Bang is one family-friendly blockbuster that audiences will find ‘Truly Scrumptious’. The King’s Theatre is proud to support Scottish amateur theatre. Hi, just an enquiry. When purchasing tickets to the show do carers pay or do they go for free?